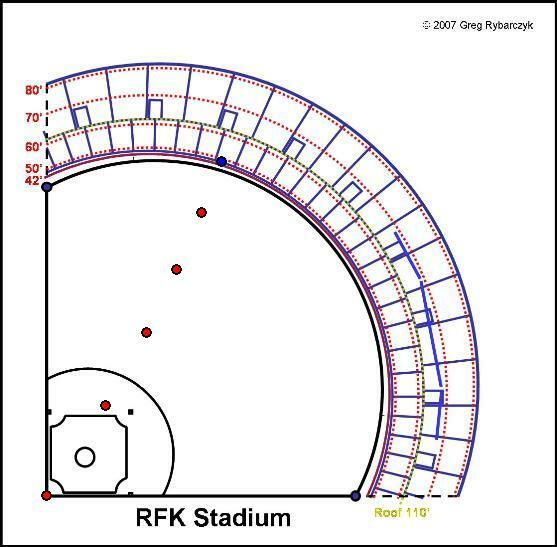 Frank Thomas ripped a 414 foot homer into the second deck in left field at McAfee Coliseum that came off the bat at 115.8 mph, but the wind and cool temperatures in Oakland took a total of 19 feet away. One of the most pronounced pull hitters in the game, Thomas has hit 25 home runs in all, 23 of which have gone to the left of dead center field. Frank Thomas homer scatter plot. In fact, only 9 of his 83 hits this season were hit to the right of dead center. Nomar Garciaparra hit his 13th homer, a 402 footer to left field at Dodger Stadium off the Marlins’ Dontrelle Willis. Nomar sprays base hits to all fields, but his power has all gone to left field, with all 13 homers in 2006 landing to the left of dead-center field. Nomar’s home run scatter plot.